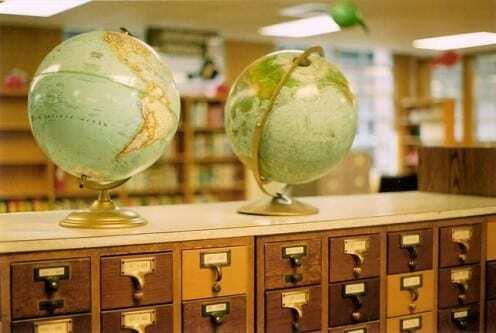 Education has become an important topic of investigation in our comparative research. 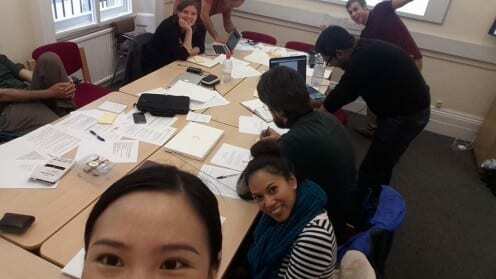 Last May we also explored and presented our findings in a workshop held at UCL. In Mardin, similarly to field-sites in rural China and Brazil, parents and kids tend to see social media as a dangerous threat to formal education. The education system in Turkey is built around examination preparation, and examination results can chart the course of a person’s life. In this context social media is deemed by students and parents as responsible for worsening exam results, as it takes time away from books. For this reason students preparing for important examinations often close their Facebook or Twitter accounts for a few weeks or months. Whereas social media seems not to be beneficial to the preparation of multiple choices exams, in other situations it emerged to be quite helpful in the learning process. Male students used Facebook to secretly flirt and communicate with foreign women. Students often wrote quotations or uploaded their status in English, they wanted to be seen by teachers, friends and peers as proficient English speakers. Students joined English language political groups dealing with the Kurdish issues. Students listened to English songs on YouTube. Love, fame, politics and music became four new rewards which drove students to learn a foreign language. In a formal education system where the main concern of the students is the acquisition of a diploma, social media has created new rewards that positively influence learning motivations. Facebook is designed to encourage people to reveal information about themselves, and the market model of Facebook’s founder Mark Zuckerberg is based on sharing and radical transparency (Kirkpatrick, D. 2010). Also, scholars have largely focused on the “disclosure effect” of Facebook, and have studied the ways this social media has led people to publicly display private information about their daily life. In Mardin, however, people are really concerned about disclosing private information, facts and images. I’ve been told several times by my Mardinli friends, that the public display of photos portraying domestic spaces and moments of the family life was sinful (günâh) and shameful (ayıp). The variety of the visual material posted on Facebook in Mardin is, indeed, quite limited compared to what we are used to seeing on the profiles of social media users in other places, like London, Danny, Jo or Razvan’s fieldsite. 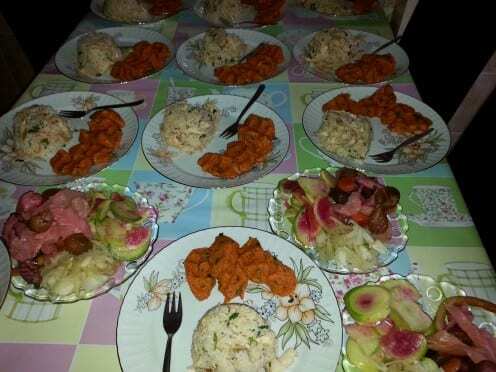 For example when people in Mardin organise breakfast, lunch or dinner at their house, and invite family’s friends and relatives, they rarely post pictures portraying the faces or bodies of the participants at the feast. They rather prefer to show pictures of the good food. In this way they can reveal and show off their wealthy and rich social life, and at the same time protect the privacy of the people and of the domestic space. Yet, when images portraying people inside the domestic space are publicly displayed, these tend to be very formal and include mainly posed photography. By doing so, the aura of familiarity and intimacy is eliminated, and the pictures are more reminiscent of the formal images common in the pre-digital era. Whereas in most of the cases people tend to follow online the same social norms regulating the boundaries between private and public offline, it’s also true that these boundaries have increasingly shifted. The desires of fame, notoriety and visibility is very strong among young people living in Mardin. For example, after posting a picture, it’s quite common to write private messages to friends asking them to “like” the image. I’ve also been told off a few times by my friends in their early twenty, for not having liked their pictures on Facebook. Facebook in Mardin is a place to show off, and to be admired by others. It’s the desire of popularity and fame that has led people to publicly display moments from their daily life that have traditionally belonged to the domestic private spaces. By doing so, the private space of the house has started to increasingly enter the public space of Facebook, despite limitations and concerns. Also the body and the face of religious headscarf wearing women have been widely shared on the public Facebook, apparently in contrast with religious norms. A friend told me: “Facebook brings people to behave in strange ways. 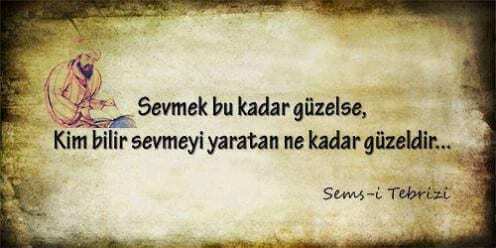 A religious covered woman I am friends with, on Facebook posts the pictures with her husband hands by hands” This public display of the conjugal life contrasts with the normative ideas Muslims from Mardin have of the private and the public. Several other examples show that Facebook has led people to publicly display what has traditionally belonged to the domestic and private sphere. In Mardin the culture of mahremiyet, the Islamic notion of privacy and intimacy (Sehlikoglu, S. 2015), continues to regulate the boundaries between the private and the public both online and offline, but with significant differences between the two. The academic and journalistic accounts on the political uses of social media have mainly emphasized the practices of activists and dissidents, or alternatively the control and censorship by States, but I believe that one area of research has been largely overlooked: the government’s production and distribution of social media outputs for propaganda purposes. The Turkish government’s engagement with social media was also documented by few journalists, and it was reported that in September 2013 the governing AKP party created a team of 6000 social media users to help influence public opinion. However, I have never come across any detailed report or research about this crucial and important topic. 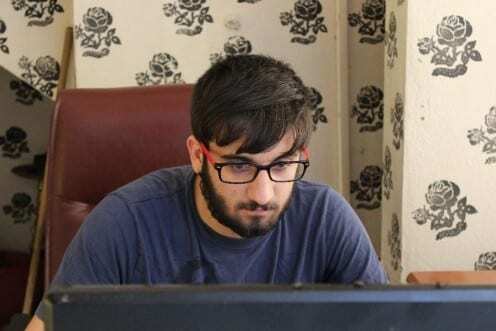 In Mardin the active usage of social media by the government and the ruling party AKP, is also interlinked with State’s control and surveillance, as a consequence of these two factors, government opponents were not very active online. All this leads me to argue that social media in my field-site, far from creating a democratic public space, have rather reproduced and reinforced existing inequalities and exclusions of political and ethnic minorities. What is an anthropological global generalisaion? Perhaps the biggest problem of our entire project is that every time anyone asks us a question we have nine different answers, which is not what the person asking the question wants to hear. As our project becomes better known we are all constantly asked for the ‘results’ of our study in the form of ‘does social media do this?’ or ‘is Facebook having that impact?’ With very few exceptions people want and expect a simple and clear answer. But any answer we give that fitted such questions would be in effect an ‘anthropological global generalisation’ and it’s not clear what such a thing could be. As a recent blog post noted, Chinese social media are not even the same platforms and so can be constantly rendered peripheral by answers in the form of ‘Facebook does this – but not in China’. We also recently posted a study of how the World Cup appeared on social media in all nine sites. We have no evidence that this was used as ‘news’ by others, although we felt the results were fascinating. We might publish an academic paper using this information but other people find it difficult to know what to do with nine different answers. Of course, for us the single most important academic result should be an insistence on acknowledging these differences. Not because it suits us as anthropologists but because it is the truth about social media. They are different in each site. But endless reiteration of this point reduces us to being never more than the critics of psychologists, economists and pundits generally. This is important and we now have a vast amount of evidence that they are wrong in pretty much everything they say, to the degree that they ignore such differences. But this isn’t the only thing we want to say. Furthermore it is empirically evident from our study that there are many ‘sort-of’ generalisations we could and should make. We too are interested to find out that some things are more generalisable than others, often unexpectedly so. When we met for a month in May we attempted an initial solution to this problem. We sat together, proposed, argued and discussed our findings to see what generalisations we could come up with. In the end we tentatively suggested around 30. Since that time I have put many of them up on my own twitter account at @DannyAnth. As Tweets they are both succinct and wildly over generalised. But at least this forces us to confront the issue. What we discovered was that there might be a solution as long as we are prepared to make certain compromises and this might be worthwhile in order for our work to be actually taken up and used. Even for educational purposes people want something other than nine different answers. We felt it will be safe to make generalisations partly because there will be nine books with enough detail to show how there exists another finer level of detail available to anyone who wants a more honest account of our findings. Secondly we found a mode of expressing ourselves of the ‘Yes-But’ variety. 5) Social media should not be viewed as a simple extension of prior uses of the Internet. Footnote: For example, prior uses of the internet caused concerns about anonymity, while with social media concern has shifted more to privacy. Though with exceptions, for instance we find Facebook used to create anonymity in India and Turkey. 6) Social science has tended to see modern life as an inexorable movement from communal living to more individualism. Social media, by contrast, may lead to re-connections between people or entirely novel connections. Footnote: In our South China site we find the more conventional movement largely from communal to more autonomous life through social media. The meaning of individualism also varies from site to site. 7) Our studies suggest that in some areas groups continue to be the key units of social media usage. For example the family in Italy and low income Brazil, the caste in India and the tribe in South-East Turkey. Footnote: For example, the acceptance of friending depends on groups beyond the individual. In China QQ organises friends lists and most people have one dedicated to the family. Trinidad and England seem to accord better with the notion of ego-centred networking. In Turkey we see both group control and also the creation of ego-centred networks through anonymous profiles. Even here we have the additional problem that, of course, we didn’t study ‘Turkey’ or ‘England’ but just sites of around 25k in each case. To use national tags is itself problematic. But without them we once again fall into the trap of being ‘correct’ but useless to non-anthropologists. When we complete our fieldwork we will return to this issue. Whatever we do will require compromise all of which will lead us to be criticised, not least by other anthropologists. There will inevitably be different levels of dissemination from the full and detailed expression of our differences to the over generalised statements without which we will never transcend our anthropological audience. In practice even a book of 80k words feels like an overgeneralised account when you have done 15 months fieldwork. We believe this exercise is important not only for our project but for the future of anthropology more generally. Help and suggestions, for example of good precedents in making anthropological global generalisations, would be very welcome. My colleagues and friends around the world are talking a lot about the World Cup. I’ve been reading Italian and English newspapers and news about the World Cup dominates the front page. I often check my Facebook page and my friends from Italy, UK, France, North and South America, Lebanon have all been writing comments about it, even if their national football team isn’t playing. My memories of the last World Cup, when I was in Lebanon, are very clear. I was in Beirut in summer 2010 and I remember very well how Lebanese football fans were preparing themselves for the matches: flags everywhere, big screens in many cafés, people wearing team t-shirts, shouting in the street and singing to celebrate the victory of their favourite team (which was Brazil in most cases). In those days both men and women were continuously commenting the World Cup and they were cheering passionately. Lebanon is a post-colonial country and the way people were intensely following other country’s football teams had to do with the culturally legacy of their colonial history. 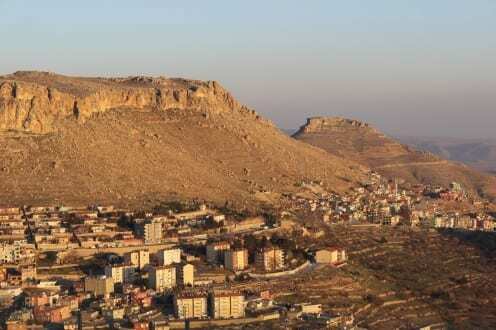 In contrast to Beirut and many other places in the world, in Mardin, none of my 200 Facebook friends has written a single comment about the World Cup. Men who are football enthusiasts watch the matches at home, but they do not passionately support any football team. They do not care about it. No flags, no clothes, no signs about the World Cup neither in public spaces, nor in the private. 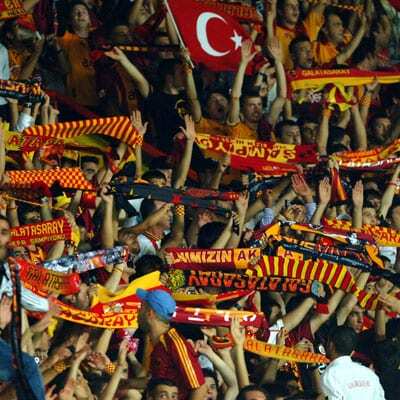 Almost nobody watches matches in cafes’ because the matches are available for free on the public TV channel TRT 1, and they are played late in the evening or at night local time. So people prefer to comfortably sit and watch them at home. “Nobody will tell you the real reason why they are not interested in the World Cup because they can’t! And they do not want to hurt you! But people do not care about the World Cup because there is no countries close friend with Turkey involved in it. Who should we support? Should we support Holland or Portugal? Or Costa Rica? We do not even know where Costa Rica is. They are so far and different from us and they are not Muslim. If for example Azerbajan or other Muslim countries culturally close to us were playing we would have been much more involved, but this is not the case”. In Mardin, the World Cup is followed as a form of private and individual entertainment. People do not express publicly support for one team or another not offline, nor on social media. Men watch football matches as they can watch a serial TV show, within their own homes and they do not discuss it publicly. In Mardin, the World Cup does not constitute a public arena where national and local collective identities are expressed and articulated. The reason of this has probably to do with the specificity of Turkish national identity, which is built on the idea of a singular Muslim nation that is under continual threat from foreign Western countries. Being a fan of a non-Muslim foreign football team is not something that is plausible here. 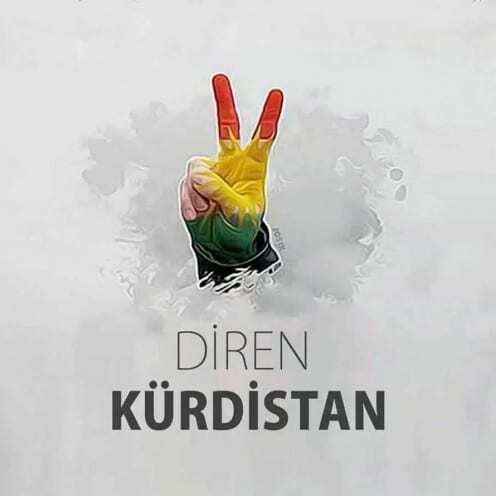 I haven’t investigated the way the Kurds relate to football and nationalism, but the Arabs living in Mardin who consider themselves proud Turks are involved in many forms of Turkish Muslim nationalism. And not paying attention to the World Cup is one form. One of my Arab friends, who is also a football fan, posted a picture of his favourite team, Galatasary, with a very touching poem dedicated to his favourite players on his Facebook wall the night before the start of the World Cup! This blog post will try to give just a short glimpse of what our collective work means and how we envisage doing it. This May, the entire project team reunited in London. This came after roughly twelve months fieldwork for each of us. Imagine nine anthropologists (Elisabetta Costa, Nell Haynes, Tom McDonald, Daniel Miller, Razvan Nicolescu, Jolynna Sinanan, Juliano Spyer, Shriram Venkatraman, and Xinyuan Wang) sitting at the same table and each trying to talk in a way that would make sense for the rest of the team while also addressing very different individual issues and concerns. In a way, this task was very similar with one of the main underlying thoughts since the beginning of the project: how to make our ethnographies really comparable? We started by structuring our individual presentations into themes and focused more on ‘what went wrong’ or ‘what we didn’t do’ rather than on the positive aspects of our fieldwork. We felt we needed this exercise, as on the one hand we identified common issues and workarounds and on the other hand the kind of feedback we each received was incredibly effective. This was also one occasion to realise how much we have done so far: tens of questionnaires, exploratory interviews, in-depth interviews, close work with local schools and in a few cases (Turkey, Trinidad, and India) with local Universities, gathering of specific quantitative and demographic data, and so on. Besides, each of us followed their individual research interest, updated on a monthly basis the research blog, and circulated inside the team a total of around 70,000 words in monthly reports. Next, based on our continuous discussions we started to draw a list with the main preliminary insights of the project. We qualified as ‘insights’ the kind of information based on ethnographic evidence that, even if could be strongly relativized between all the nine sites, it is nevertheless essential in understanding the impact of social networking sites on our society. After a few rounds of refinement and clarifications we ended up with around thirty preliminary insights that we will begin to publish on this blog. The idea beyond this is that we recognize that the earlier we put our findings in the public domain and under critical scrutiny the more social science will benefit. Then, we started to work on a list of tasks that we all have to do in the last three months of fieldwork. We ended up in defining 20 tasks, mostly qualitative, that respond to issues we overlooked so far or we decided collectively we have to have. Some of these are: we redrew parts of the in-depth interview grid, we defined a few common mechanisms to work on and to analyze the online material, and created a second short questionnaire to be done by the end of the fieldwork. Sometimes the endless debates on the various nuances and particular issues in each fieldsite had to be closed down by mechanisms such as democratic votes inside the project team: by voting, we collectively decided whether we will address that particular topic as a collective as part of the mandatory deliverables or it will remain to be further investigated by just some of us. There are so many other things we worked on during this month and I do not have space to discuss here: gathering user generated content, producing short films on the main themes in each fieldsite, the course we’ll collectively teach at UCL/Anthropology in the second term of the next academic year, discussion on research ethics, methodologies, and data analysis, AAA conference this year, dissemination plan and our collective publications, as detailed here by Danny, the strategy for our online presence, and so on. By the end of the month, when my colleagues also prepared their panel for the RAI conference on Anthropology and Photography, we all agreed that going through such an immense quantity of data and ideas, process, and plan our further common actions in a relatively short period of time was the real success.